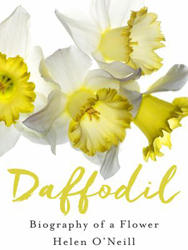 Daffodil : Biography Of A Flower - ubiq bookshop: the best place to buy books! The daffodil is the beautiful first flower of spring, the inspiration of poets, a treasure-trove to scientists and a symbol of everything from unrequited love, rebirth, eternal life and misfortune. Over centuries, the daffodil has been so many things to so many people: it was called 'Narcissus' by the Greeks and prized by the Romans as guarantee of passage to the Underworld; it was used by medieval Arabs and ancient Chinese for its medicinal properties and it has inspired poets, lovers, artists and scientists down the ages. But in telling the story of the daffodil, what award-winning, best-selling writer Helen O'Neill is really telling is the story of humanity. It's a narrative of progress from superstition and myth, taking in politics, greed, religion, science, chance, redemption and love. But, appropriately enough for a flower that is now used on a worldwide basis to raise funds for cancer research, it is, above all, a story of hope. Moving, fascinating, eloquent, and also beautiful.